Interested in a large scale solar power installation for your home or business? 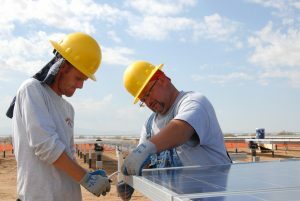 With a return on investment in excess of 20%, more and more people are installing large solar power systems. Sunshine Coast Solar Centre has many years of experience in the solar power industry and we can help you plan, design and install a premium quality Solar Power system to suit your needs and budget. From 8kW to 1 megawatt the choice is clear – Sunshine Coast Solar Centre your local solar power specialist. Contact us today for an obligation free quote.